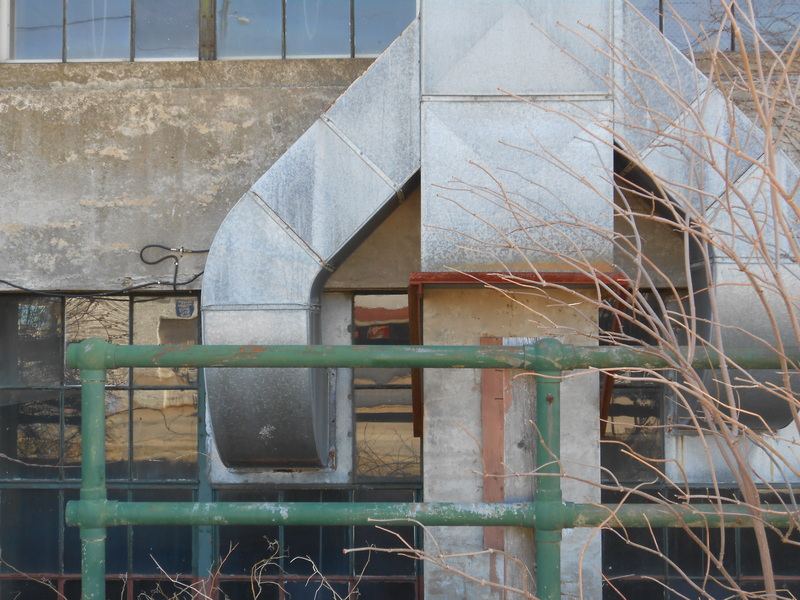 The region is dotted with many old and no longer operational water-powered paper and pulp mills. Brick factory buildings are also easily found. 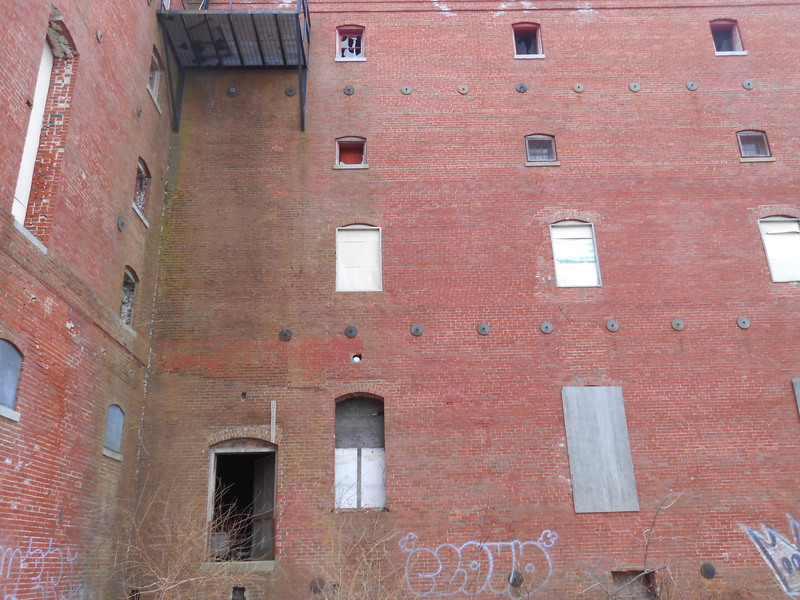 This part of New England has a strong history in a huge variety of manufacturing and other types of production-related businesses from the original Frank Jones Brewery complex in downtown Portsmouth, to the Button Factory on the other side of Islington. The Schultz meat plant is geographically right between the two. And, is decaying, where the other two now house an athletic club and artist studios, respectively. I asked a friend of mine who is very involved in Portsmouth New Hampshire politics (where I am sure this is a terrific embarrassment), and the owner seems to have no motivation to clean it up and make it serviceable to businesses, artists, etc. What a shame!! 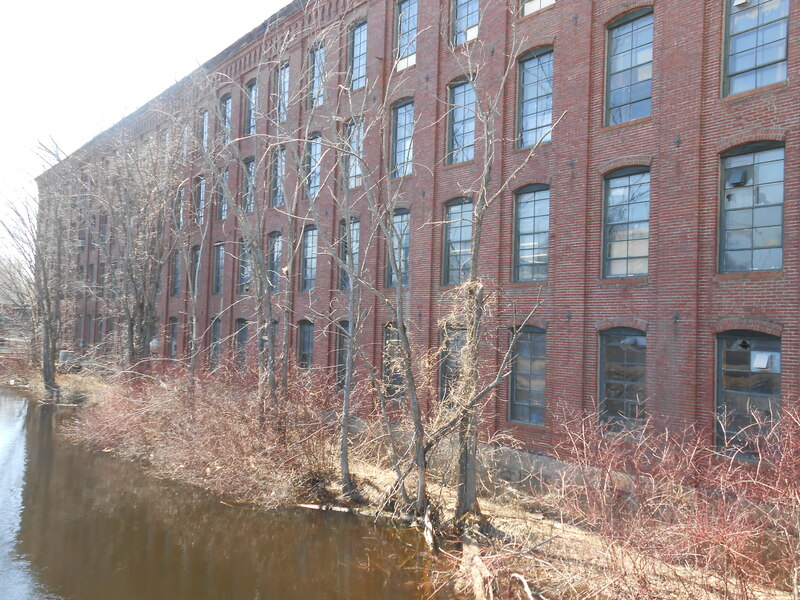 I have friends who have studios in the 1 Washington Street Mill Building in Dover, New Hampshire. This is a multi-use building that serves a myriad of businesses like Terra Cotta Pasta, a few smaller galleries, framing studios, apparel retailers, and other concerns. Dover has at least three complexes that are all successful in renting to those who need space but maybe don’t need the street-level, strip mall type exposure. The Rollinsford Mill is very much like the 1 Washington Street Mill except it is heavily rented as art studio space. They, like the Button Factory, host open-studio events where the public is invited to come and experience the art at the Mill and purchase it outside the pretty gallery setting, directly from the artists. In my travels taking pictures and just reveling in the spring sunshine, I drove (for no reason) to Sanford, Maine. In Sanford, there is a mill complex that looks a lot like the Schultz Factory. No apparent recon is going on with this site, yet it is on a terrific piece of property with a great view. I took a few minutes to walk along this side of the building, and the front and shot this for art. But, I wasn’t through wandering-the weather was not allowing this cabin-fevered child to be inside all day! I went home, and lost the New Balance and socks to Tevas. Yes, and toes are happy! But, I was not done finding new treasures. Gonic is a non-incorporated town that is really part of Rochester, but, like East Rochester, there is a different personality. 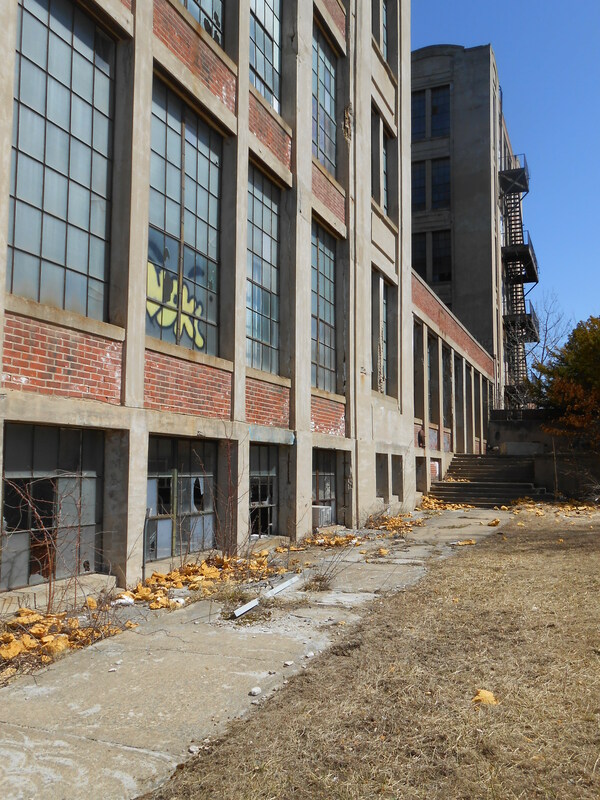 I got here quite by accident, and found another mill building. But one I didn’t know about. And, one that has been restored, but hasn’t become trendy yet. Uh-oh! This one has huge spaces, and though I haven’t seen them yet, they could be possibly rented as a group and sub-divided. Rents are crazy-cheap! Like they should be for a studio! The Rochester Museum of Fine Art owes much to the area libraries since we own nothing more than art. And, what a great thing to own-but only if you have a place to put it up!! 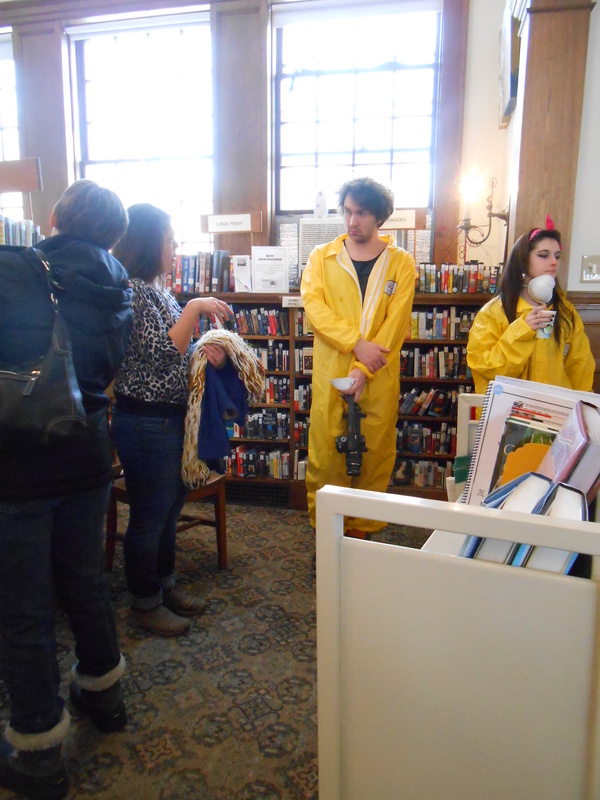 We are getting more permanent space at the Gafffney Library. I stopped at the RPL, hoping to map out my next show there, as well as to see the show on the 1st floor, and the new show at the Carnegie Gallery, on the 2nd. First, the student show on the 1st floor is superb!! 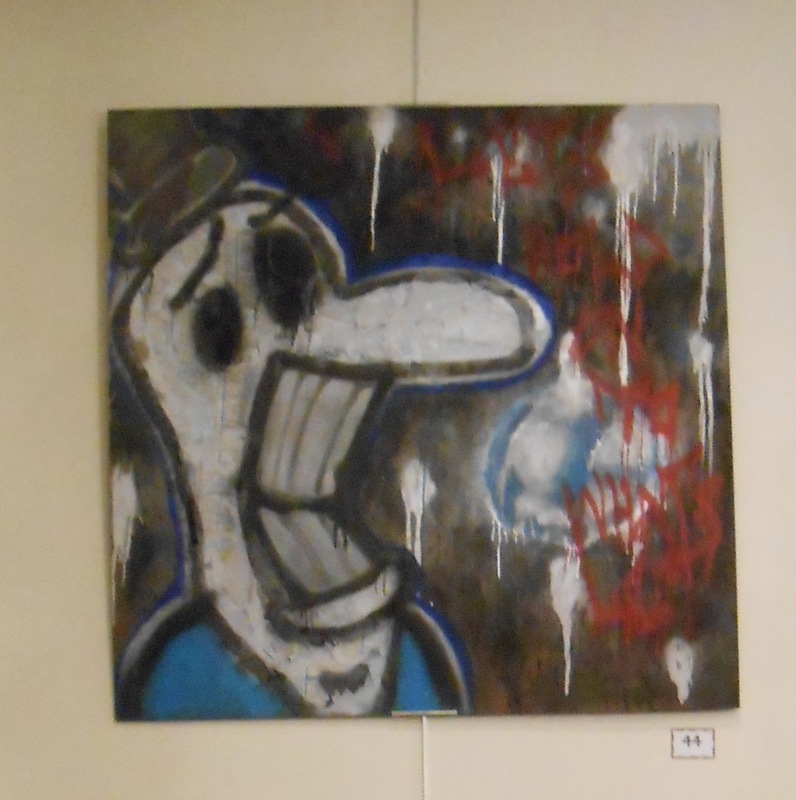 I was really taken by this piece, but there are really nice 2-d pieces that just didn’t photo well of because of lighting. Really nice, Spaulding High School!! Upstairs, in the Carnegie Gallery, we just hung Benjamin Cook. We also have more of his work for the Carnie Medical window. More pop-ups will happen soon!! Benjamin Cook is next! We had a very successful Artshare meeting tonight. Another reason to champion a local library! 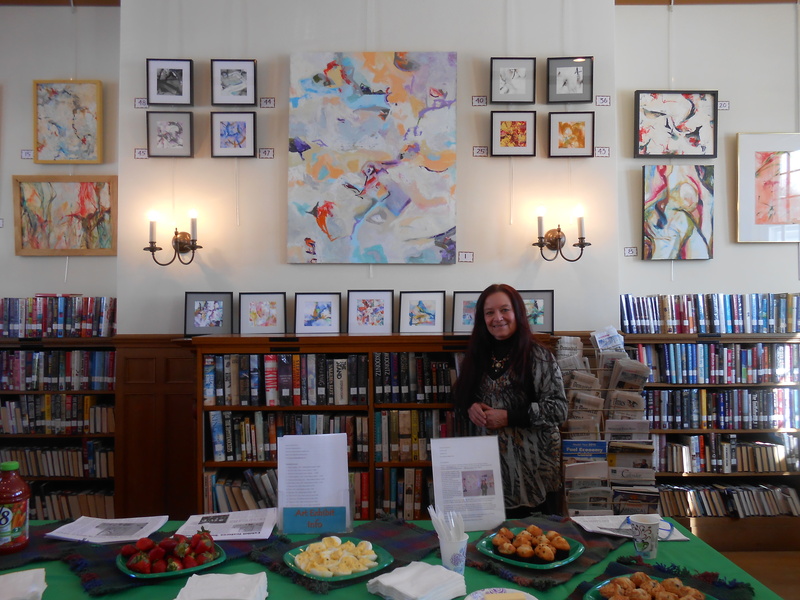 The Berwick Art Association has no permanent building for meeting or showing, and the Berwick Public Library allows us to use their conference room for our business meetings and their one large table in the main library for our Artshare meetings. In attendance tonight, there were four new members and ten of the older members, which is the best turn-out yet. These meetings are all about bringing work to share. If it is in progress, or the artists has issues they would like to discuss about their piece, that’s what we do. Otherwise, we converse casually about each sharing person’s work-BTW, you don’t have to bring art. 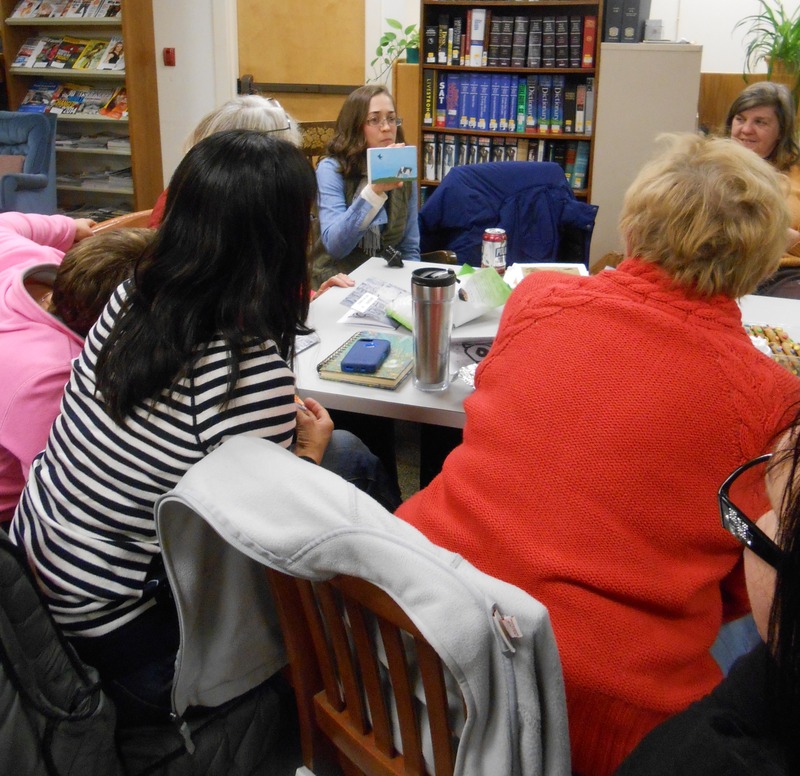 Tonight was special for a number of reasons: Gloria Houlne has returned to BAA for these meetings, Beth Wittenberg gave away ten copies of her first zine, and it was the most art shared at one of these meetings, to date. Ruth Ann Bleau had her hands full as meeting chair getting us through the abundance of great art showed. Gloria’s piece, was discussed probably longer than it should have been, based on the size of the group, though it was worthy of the time. Ruth Ann Bleau and Anne Vaughan injected the evening with politically charged art. Beth Wittenberg brought her first zine based on her series of works called “Buildings, Beasts and Storms” which depict some of the nastiness and craziness that lives in all of us, and gave the original signed copies away. A new member, Aaron, brought his Comic-style book based on his daily life. 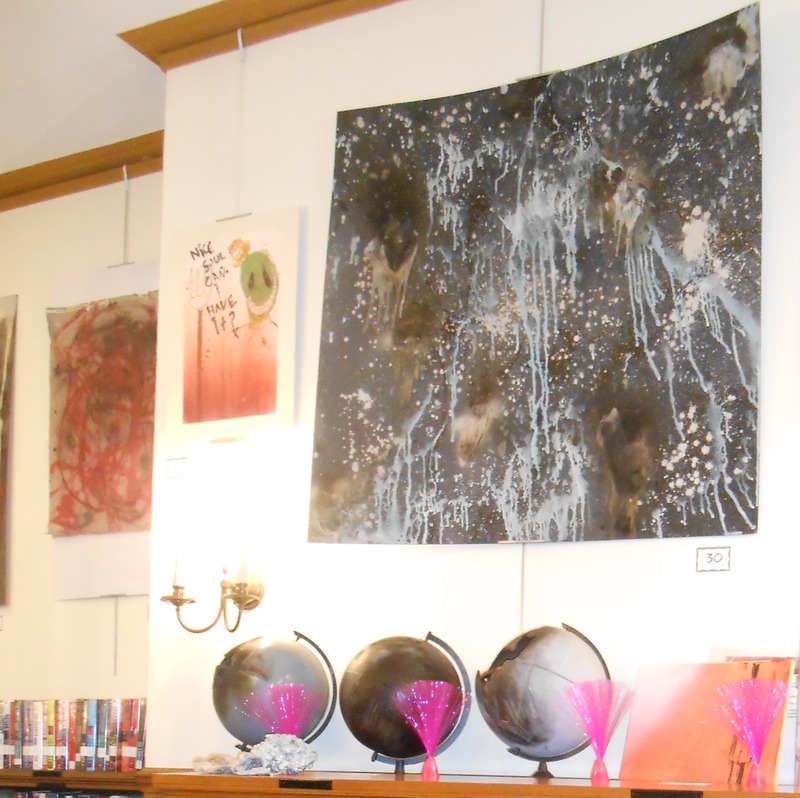 Other work included a pen and ink of James Dean, a spin-art on a light fixture cover, a large acrylic abstract, a series of autobiographical photos, a small architectural rendering and my random small paintings done for “painting challenges”. And, Kristen’s cow. 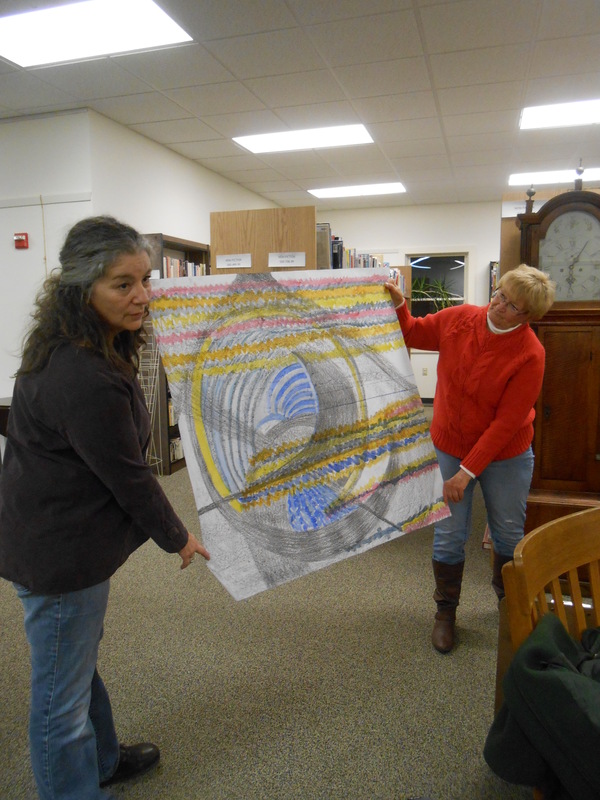 Kristen Dolloff shows her piece. As this group grows and matures, the work does, as well. 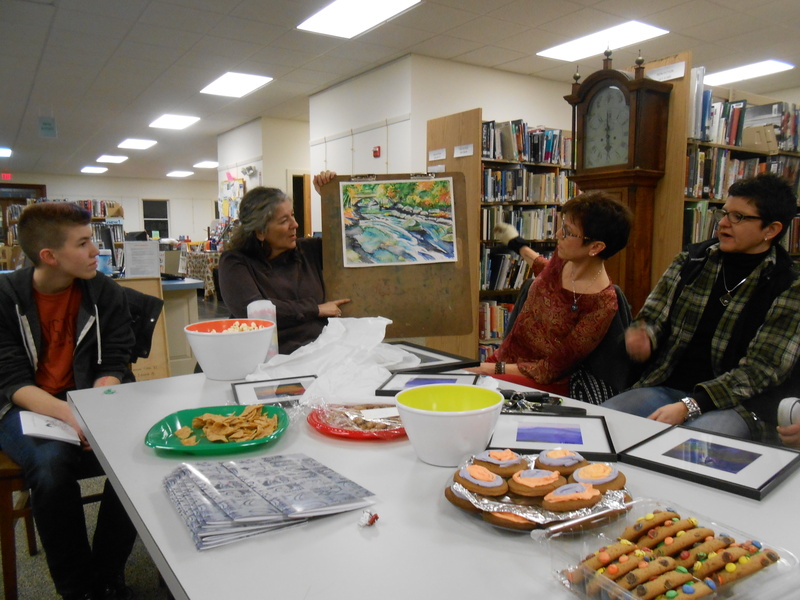 The BAA Artshare group meets every third Wednesday night at the Berwick Public Library, Berwick, Maine from 5:45-7:15. We never know who will be there or what they will bring. Snacks are also welcomed-we do munch, too! The media gave us some attention, so I wanted to pass it on!! This is from the recent Lady in Red event in Berwick. I was straight out this week-end and did not put a nail into a wall or pick up a brush. So, it could have been better, but, I really like seeing other people’s work, too. Friday night, I followed up on a lead I got from my Moderns group at the KAA. And, please visit the blog I just created for the group called The Seacoast Moderns Group! After scoring a show in August in downtown Portsmouth, I decided to come home. Since I have been the major maniac, I decided that I would chill Saturday, and not paint. Malynda from the Gatehouse Gallery had invited me up for the Tamworth Art Council auction. And I had not made any posts about shows other than those that I am somehow associated with. On my way up, I stopped in Wolfeboro. This gallery packs the art, but there is some memorable work. 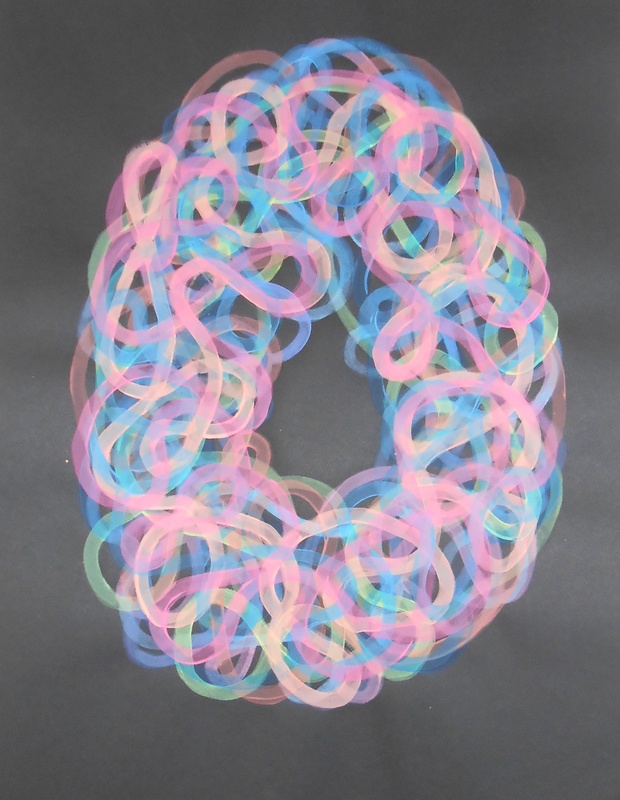 Edward Gordon’s work is amazingly technically beautiful. It lacks soul, but I admired it for the precision. Other artists that I picked up info about were Suzanne deLesseps, Valerie Schurer Christle and others. I found most of the work predictably representational. But,this gallery was definitely worth checking out, where the Artisan’s Corner, right next door…not so much for fine art. Newport, New Hampshire. A town I had never been to and I wandered to because after assessing what I had forgotten in my camping supplies, I determined that I needed something to paint on. I got in late enough on Friday night to not really miss paper. After breakfast, what seemed like the best plan was explore, find paper, come back to camp and hike and then do some work. Quite by accident, as I drove around Newport (the nearest town to camp), I found the Newport Free Library and their gallery. Since that didn’t open ’til 11 AM, I decided to explore. Newport provided me with a wonderful quilting store, where I bought butterfly fabric. The butterfly is the symbol of magic, beauty, creativity on the Medicine Wheel-and that leads to another story later. One of the women there directed me to where I could find cheap watercolor paper. And, at Odd Lots, I was able to get a few other camping essentials I had missed, and watercolor paper, but that’s of dubious quality. It was still too early to venture back to the Library Arts Center, so I set out to find small art. Or, art in small places. 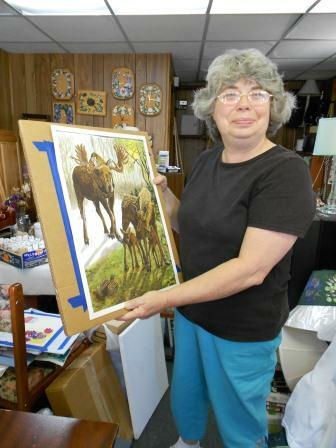 And, I hit “B’s Art & Designs” which is very definitely small, crammed full of hand-decorated items, including furniture, clothing, jewelry and stained glass and owned by Belinda Pitrowski. And, this proved to me that what I am venturing to do with this blog makes sense. I might have discounted the goal of the gallery as to present strictly decorativework had I not talked to the proprietor. Once she determined that I was the “real deal”, we had a great conversation touching on a number of topics. I showed her previous web postings and she felt really comfortable. Pitrowski opened this small gallery a few years ago, and told me that the last two years were better than this one. She is more about craft, but she has been published. Her moose family (she didn’t give me an “official” title) was featured on the cover of a hunting magazine, though she didn’t give me the name of it. She feels confident about business and is looking for a larger space. And, after I explained my plight about being without good watercolor paper, she gave a piece large enough for two of the small watercolors that I am doing for the new series. Newport Free Library Arts Center was so much the opposite of “B’s Art & Designs”: sophisticated, and very ‘cosmopolitan’. 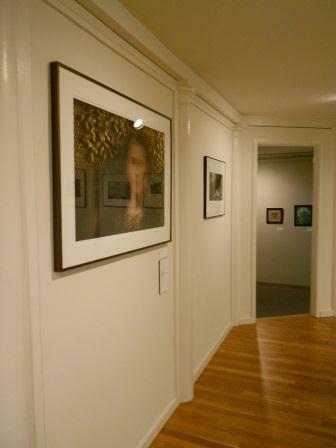 The featured photography by Susan Lirakis and her show, “When You Hear Water” was a delight in a totally different sense. Where Pitrowski has passion and enthusiasm, Lirakis has a mastery of her medium and a true concept and a well-developed method of the potrayal of that concept. Where Pitrowski might not paint in the lines in quite the same way that those of use who are academically-trained might, her stuff is about the real desire to paint. Lirakis has the confidence in her work, and everything that it involves, but it lacks that grit that I find refreshing in some of the smaller venues. And, since I am also academically trained, and from Los Angeles, I admit that I will always feel more comfortable in this arena. The photos were lyrical and poetic. Though not ground-breaking, there was that sense of calm that comes from water and the proximity to it, and knowing exactly what to do, and what materials you need when you create. 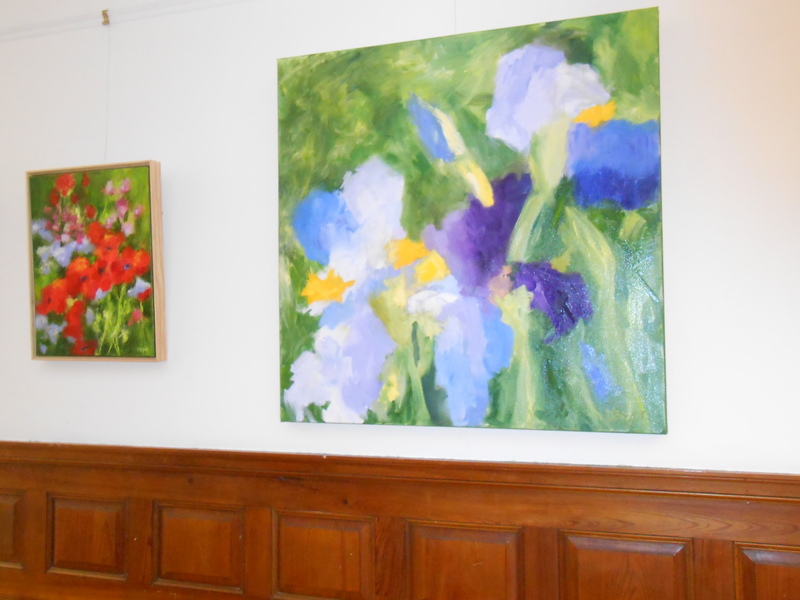 And, here’s the twist: the Library Arts Center hosted an pleine-aire gathering for area artists to paint called “Arts in the Garden” and those works are in the back gallery. Belinda Pitrowski is represented here, as well. This exhibition lacked frills. There was nothing greatly impressive about the show aside from the fact that this area exhibition space has put this show up. Though I didn’t take notes, I will say that there were a few well-executed pieces. There is also a silent auction for this work. With that inspirational fuel, I went back to camp, had lunch, and took a two mile hike. When I returned, I proceeded to set up Belinda’s paper for two new pieces. I ran on that fuel for the rest of the afternoon, with the additional support of a White Admiral butterfly. The two new pieces, both of which are finished but I have yet to shoot, will be the subject of an upcoming entry. 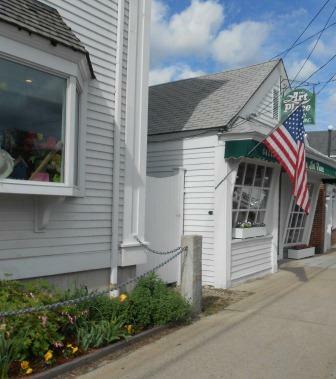 “B’s Art & Designs”, 6 Central Street, Newport, NH (603) 865-5437, or (603) 477-8108. I have no hours for the shop, so call ahead. Susan Lirakis, “When You Hear Water”, runs from August 6-September 17. 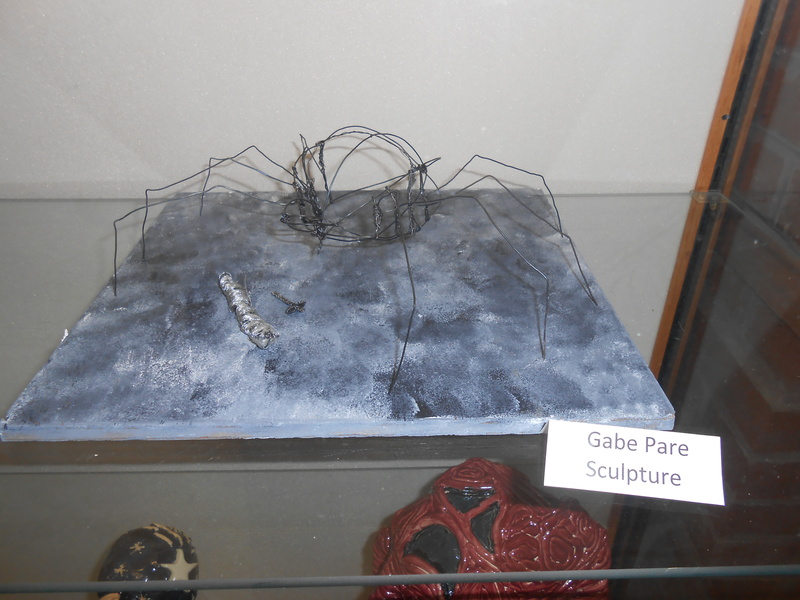 ‘Arts in the Garden Exhibit” also runs from Aug. 6-Sept. 17. 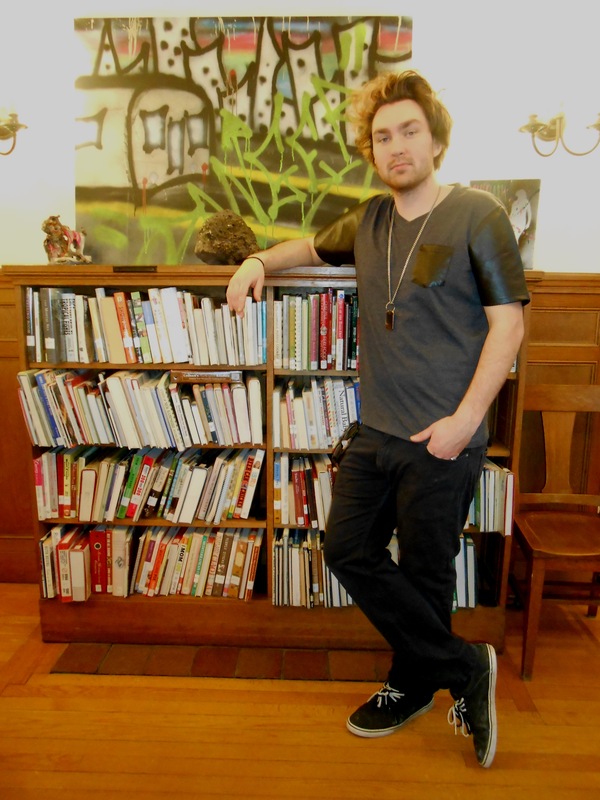 Gallery hours are Tues-Sat., 11-4. This is about what I’d like the posts to start looking like. Please feel free to post comments. I have often wondered what Bike Week looks like to people in Nebraska. Or, what those people think of Gilford, New Hampshire. Bikers know, but my guess is everyone else … But, it surely isn’t an art/antique destination. Gilford, Gilmanton, Gilmanton Iron Works and Alton actually inspired this blog. No, these are probably not art/antiques destinations, but I hope to promote those reasons to come to these places. And others. I happened to be sitting in my campsite at Gunstock, a year-round resort where I have done some snow-shoeing and cross-country skiing, just outside Gilford, when I happened on the idea for this blog-to use an old expression. The following morning sent me running home for raingear-and 45 minutes away, that was OK.
After finishing rain-proofing the campsite, I ventured off to see if there might be enough to write about. There will be plenty. As a writer, reviewer, critic, I am not necessarily looking for the same thing in all venues. And, having lived in New Hampshire for a long time, I have seen some remarkable work in general stores. And, that’s what I am looking for. S0, I set out, first to Gilford. No. Nothing that looked like a museum, gallery and I don’t even remember a gift store. And, after that rainy start to the morning, the day turned rather hot and sunny. I drove into the outskirts of Laconia, but that was not the point. Laconia is large enough that I should be able to make a post just on it. So, down to Gilmanton, Gilmanton Iron Works and back around. The circle, with stops took less than 1 1/2 hour. Down 106. And into, Gilmanton. N., Into Gilmanton Iron Works. There was a fabric store. I should have stopped but didn’t. Back into Alton, and then Alton Bay. I did stop at an antique store on 140 not long before reconnecting with 28. I unfortunately have lost the proprietor’s card but he was genuinely friendly. We discussed a 50’s AM radio as well as a piece of carnival glass. A nice piece of Carnival glass, but not marked. From there I was back to camp, to once again dream how I could make this a revenue stream. There are more ideas in the works., and I will be reviewing Portsmouth Art Around Town on Friday.